Friday’s mild, warm and sunny weather had lulled us into a false sense of security and we really did not want to believe the weather forecasts. I even managed my Street Pastoring shift without any rain and the thermometer still read 8 degrees at midnight. We were up at 5.30 this morning but the birds were already up ahead of us and singing in the trees. Despite only getting a few hours of sleep, I was glad we were driving up to Edinburgh today and not yesterday when the M6 was stationary heading northbound at 3pm. 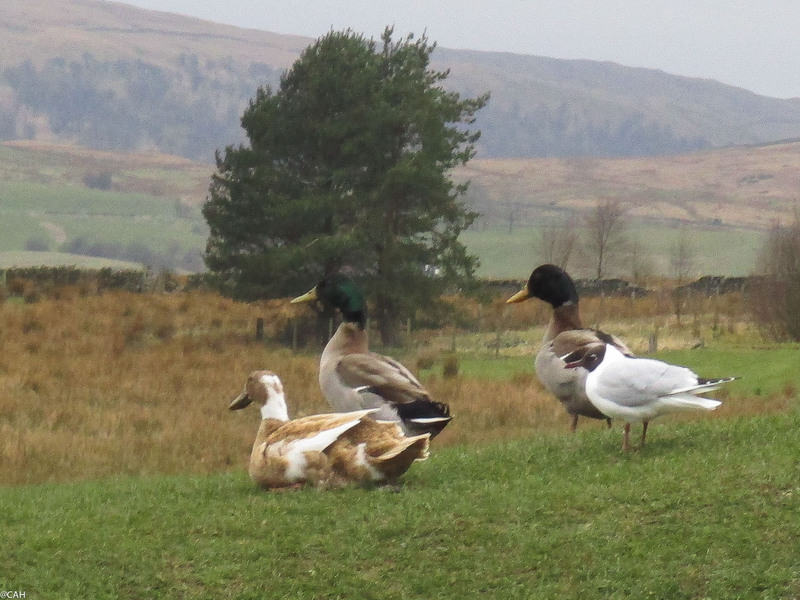 James did not change gear from getting on the motorway to leaving it 100 or so miles later for breakfast at Tebay. Up here it was very windy and a few ducks were braving the waves on the pond but these and a few seagulls stayed on the grass. The tops of the hills were shrouded in mist but as we approached the city, it brightened up a little. In Edinburgh, signs of spring abounded. 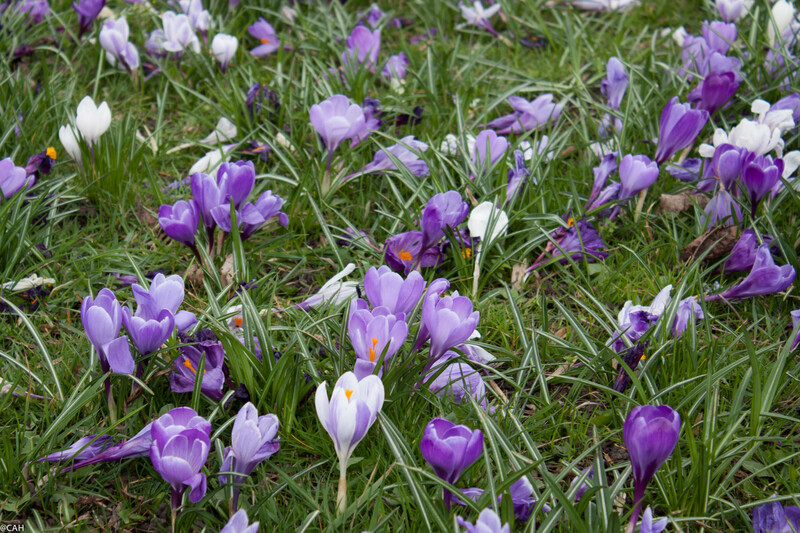 The crocuses were out on Bruntsfield Links although a little battered. We had planned to do most of the necessary jobs in town on foot but halfway through, it poured down with rain so it was back to the car. The cherry tree outside the flat is coming into flower but the wind is already blowing a lot of the petals off. As we won’t be here for another month, I will probably miss the big show. It is certainly not a weekend for hill-walking or beach-combing. Spectacular photos of ducks and crocuses (crocusi?). 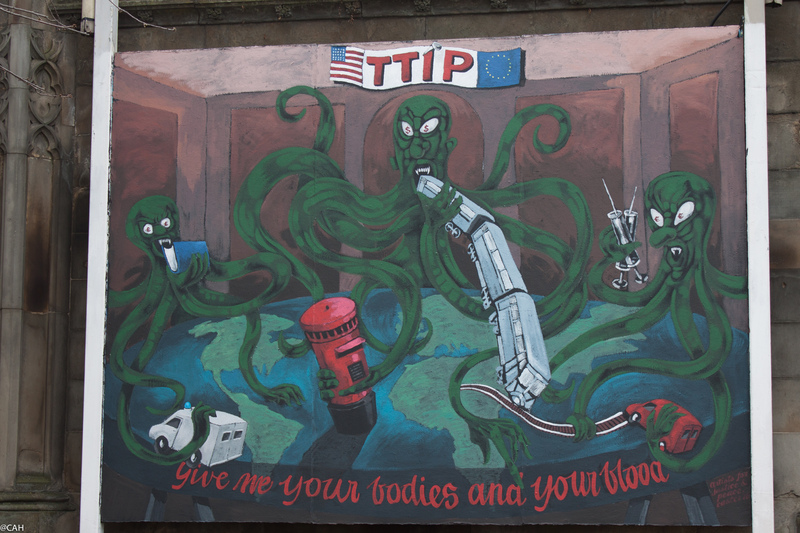 The mural….creative and intimidating. And of course disturbing! I wasn’t familiar with the term “street pastor”, although reading it I had an idea of what it would entail. I looked that up, and I have the utmost respect for you taking part in such a community service.